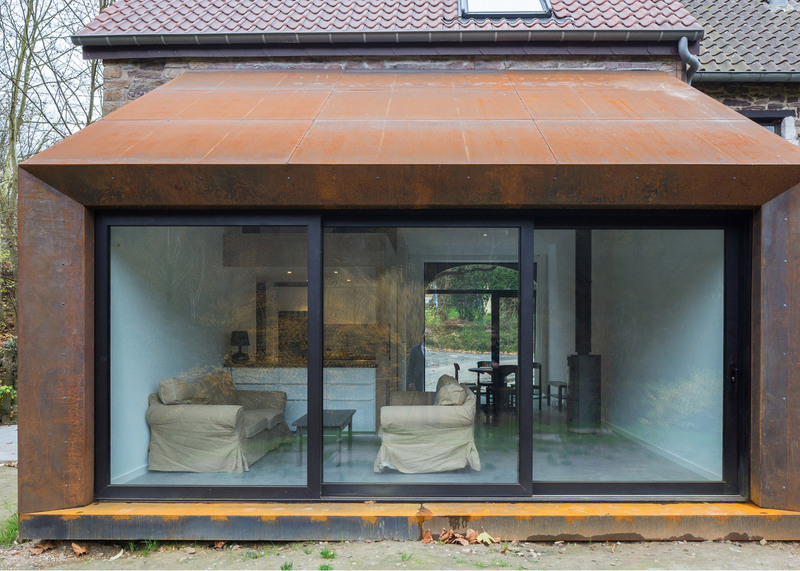 Puzzles Architecture designed this weathering-steel extension for a barn in Belgium, converting it into an annex for the adjacent 18th-century farmhouse (+ slideshow). 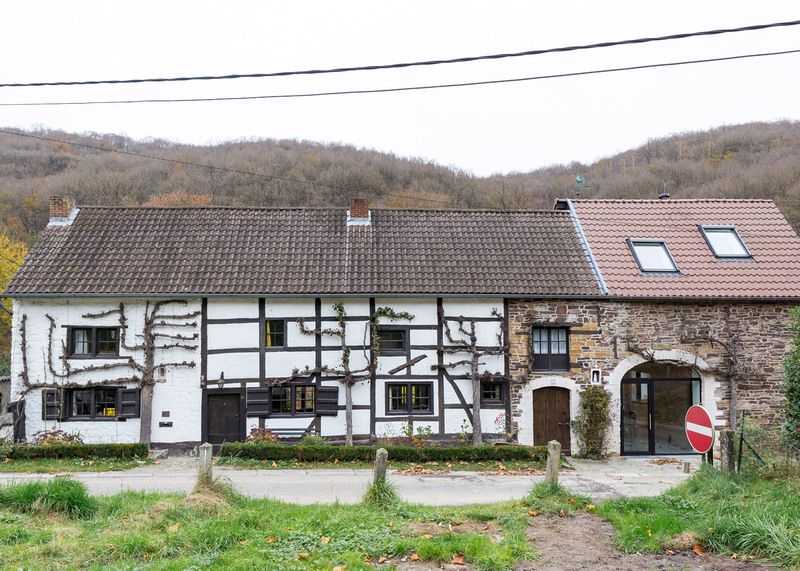 The building was originally constructed in 1730 and is divided into three parts, two made from local stone and one using cob – a natural building material made from soil, water and straw. 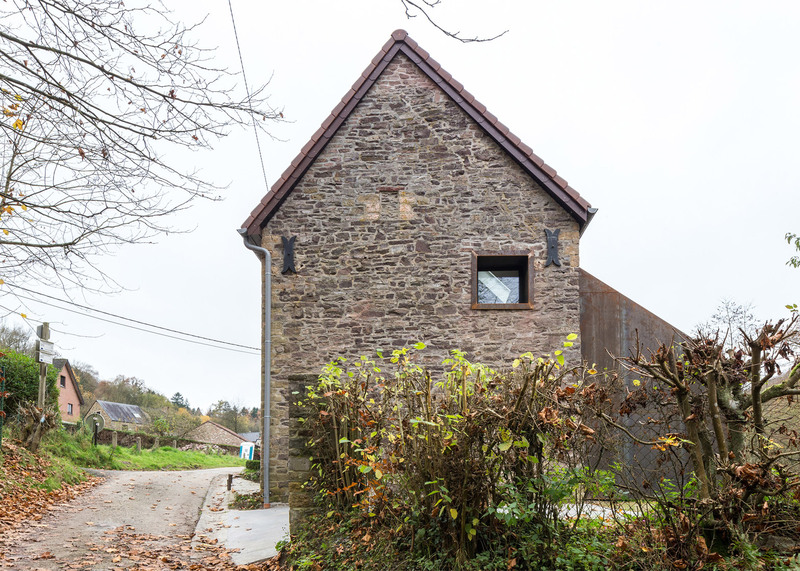 The cob portion and one of the stone sections are used as the family's living spaces, while the third stone structure was a disused barn. 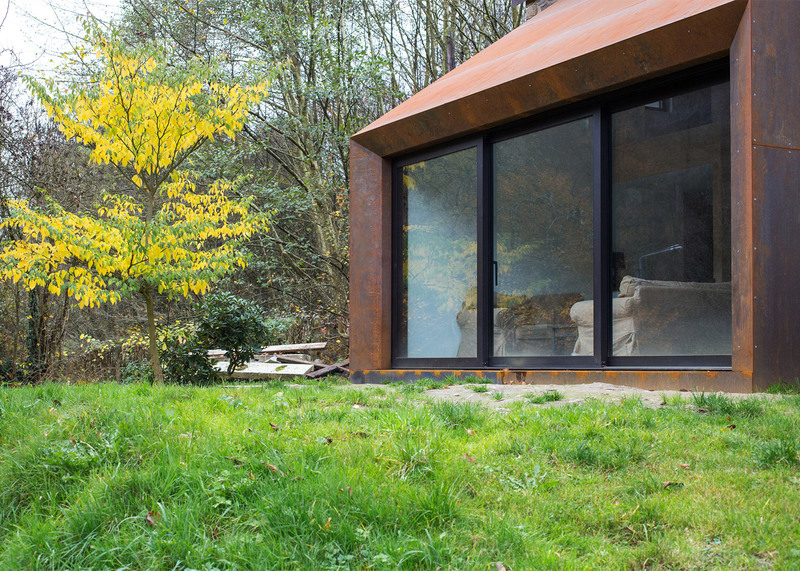 Belgian architects Thomas Gillet and Mathieu Henquet added a single-storey extension made from Corten steel to the rear facade of the barn and converted it into a self-contained two-bedroom annex. 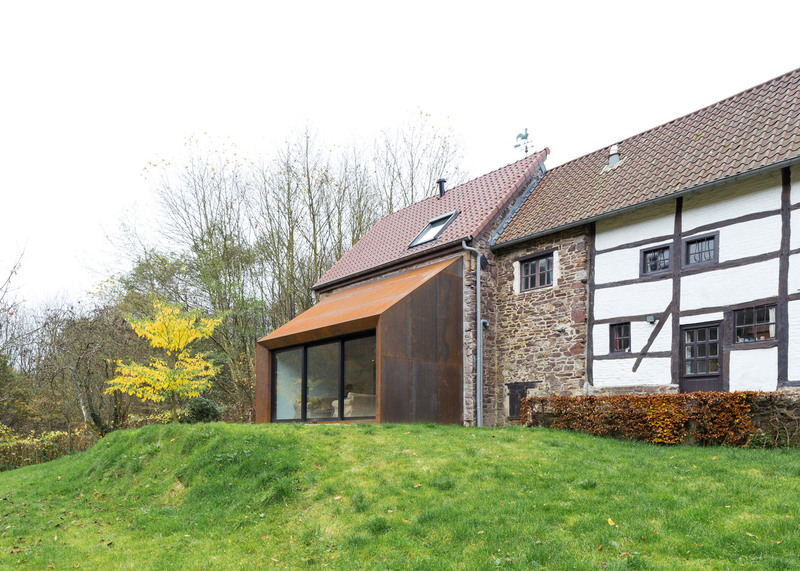 The architects wanted to preserve the appearance of the historic structure, so the extension follows the same angle as the barn's tiled sloping roof to hide it from the street. 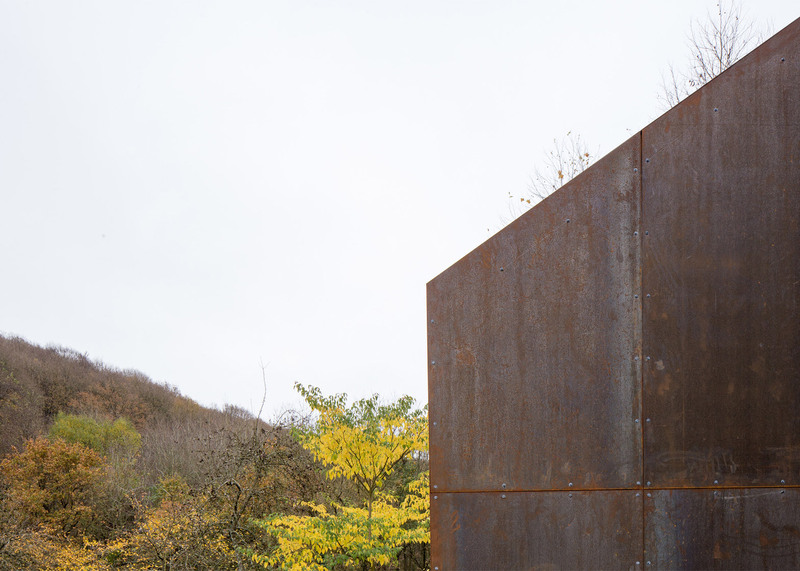 "The facades have a huge architectural and historic interest," said Gillet and Henquet. 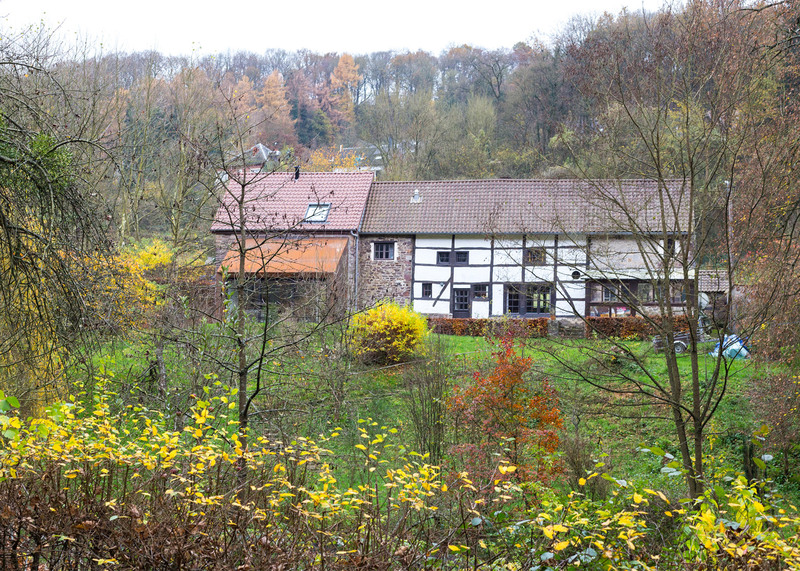 "It became a part of the local patrimonial heritage because of its use of local materials." 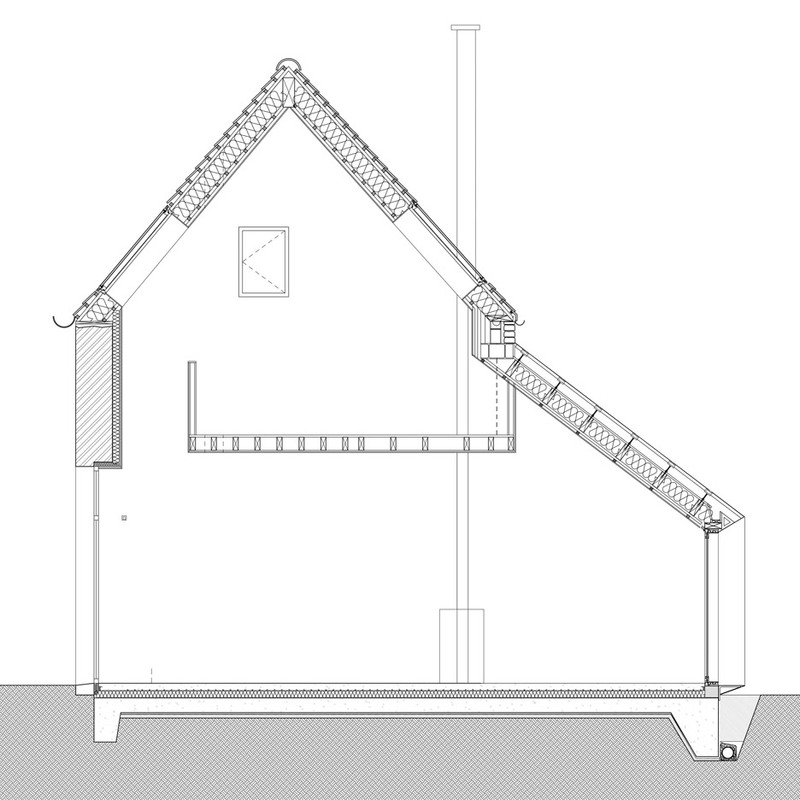 "The concept is really simple: extrude the back facade, follow the roof slope and reduce the volume to its minimum." 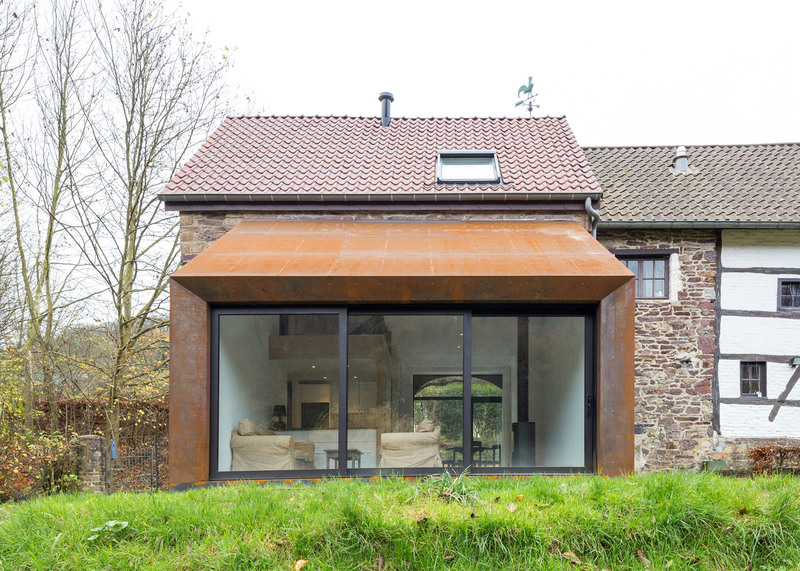 The pre-rusted steel cladding is intended to homogenise the extension with the grey, brown and red tones found in the existing stonework. 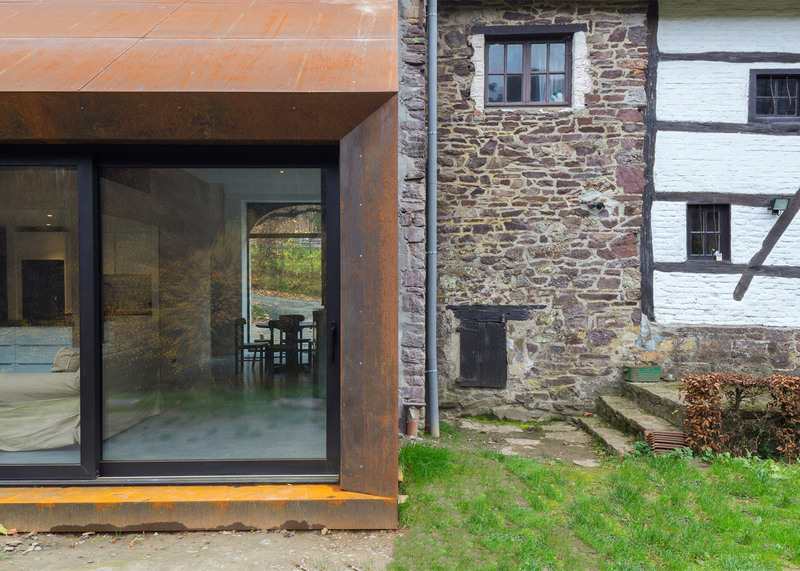 "The tonality of colours are perfect and match the existing regional stone," said the architects. "It also gives a timeless and contemporary feel to it." 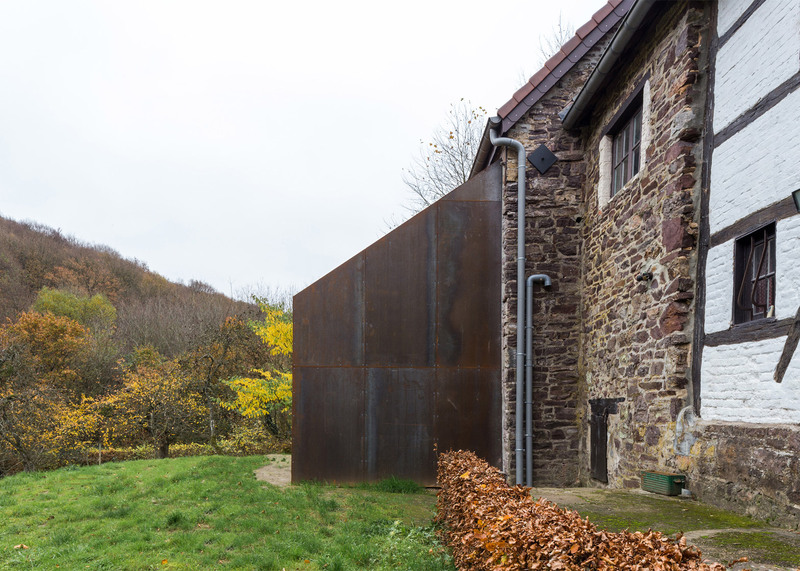 A large window set into the rear of the extension opens into a garden at the back of the house, which sits on a 3,600-square-metre site in the forested valley of Lustin. 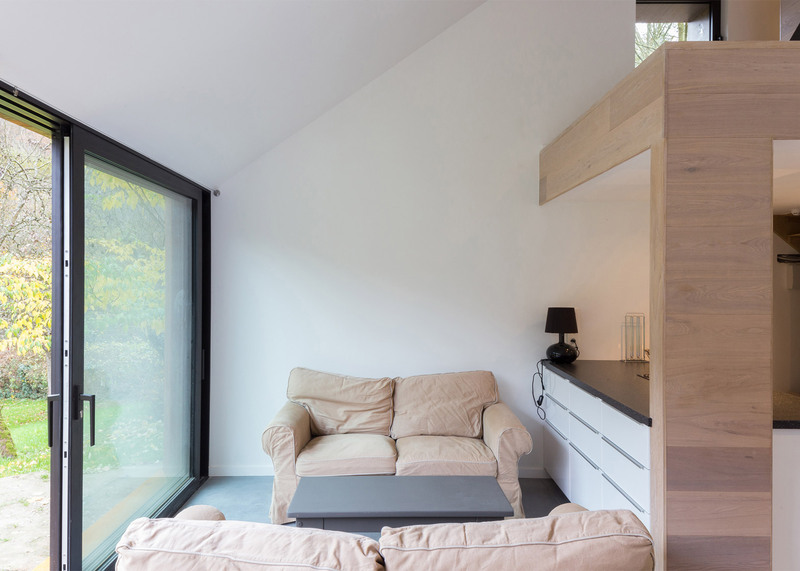 The annex has an open-plan living area at ground level and a bedroom on each of the two smaller upper floors of the refurbished barn. 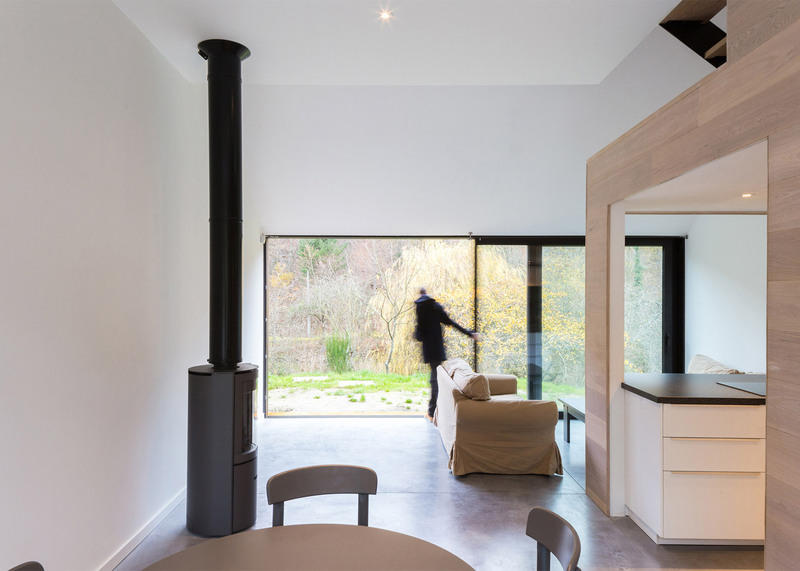 Tall ceilings and an open stairwell help to open up views between the different levels of the barn, while a wooden frame distinguishes the kitchen from the rest of the living space. 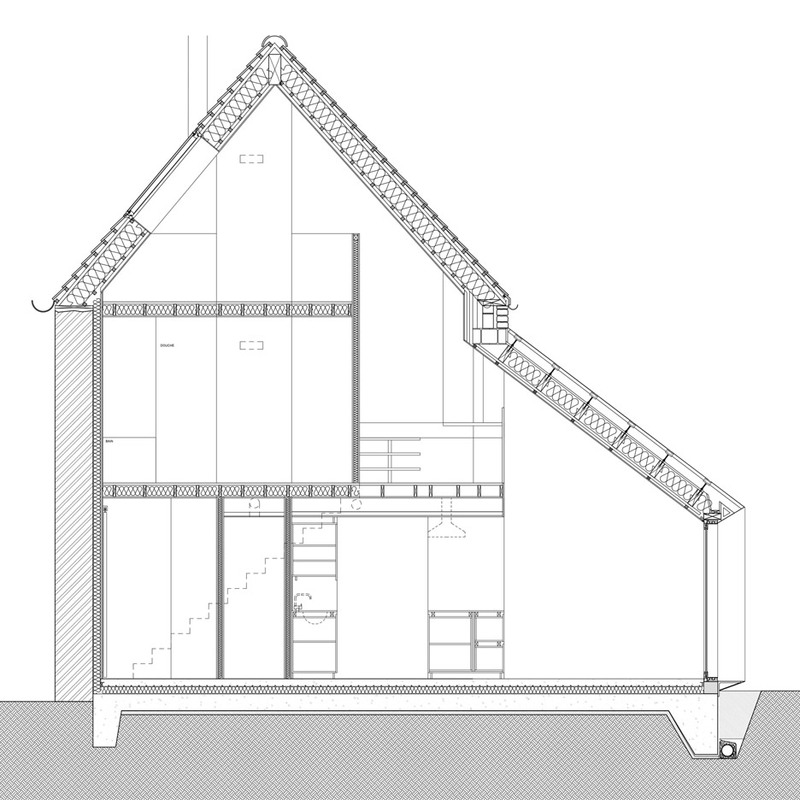 "All the rooms are connected," explained the architects. 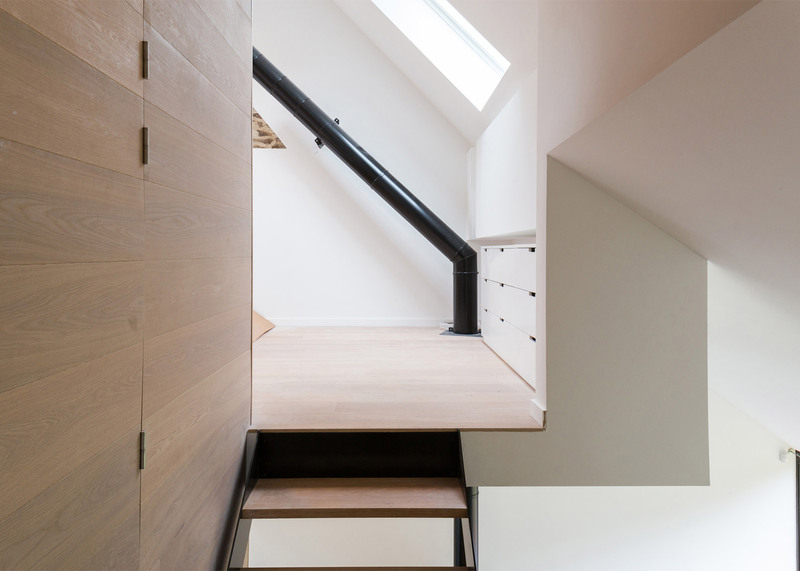 "In reality, this is just one big space, divided into smaller areas." 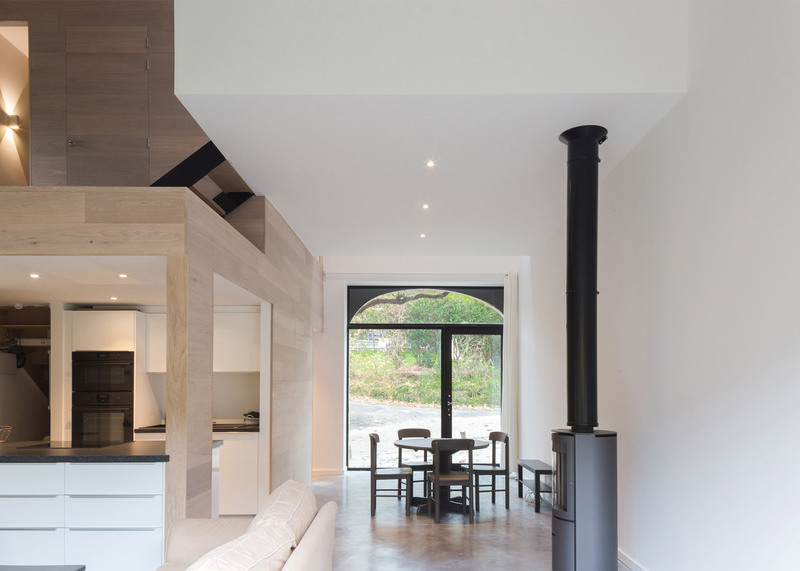 A wooden door within an arched opening facing the street was removed and replaced with a glazed entrance and windows, helping to maximise natural light and cross ventilate the space during summer months. Photography is by Severin Malaud.